From giant wolf dogs to a man getting arrested over a straw, this week’s Florida news stories were anything but ordinary. Miami Herald gained a strong lead on Twitter this week, with more than three times as many interactions as the #2 spot. A West Palm Beach man shows up at his son’s middle school with a loaded AK-47. It’s so fluffy! 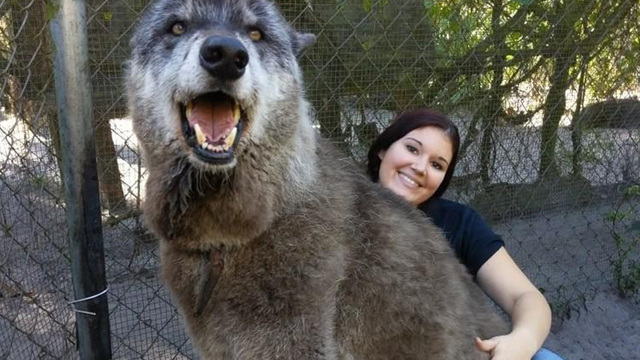 Photo of a “giant wolf dog” at a Florida sanctuary goes viral. Overcrowded Tampa Bay Area animal shelters beg for adoptions. Prison over a straw?!? The man who attacked a McDonald’s worker over a straw gets jail time. Federal court moves to unseal documents in Jeffrey Epstein scandal. A West Palm Beach dad is arrested for bringing an AK-47 to his son’s school. MMA star Conor McGregor is released from a Miami-Dade County jail after allegedly smashing a man’s phone. Data was collected from CrowdTangle on Friday, March 15, 2019. It covers the period between Saturday, March 9, and March 15, 2019.